Winter in Chicago means spending a lot more time inside. Come October and you’re going to give a second thought about that stroll by the lake. In December, only the bravest and the most stubborn will dare to venture outside their usual home-car-work-car-home path. Is Chicago really that bad as some whiners would like to portray it? Not really. On average, the city gets 84 clear days a year. In comparison, Cleveland, OH sees only 66 clear days a year, while Pittsburgh, PA, gets only 59 and Seattle, WA gets measly 58. At the same time, the last thing one wants when cooped up inside is more darkness and gloom. To help you fight winter gloom, we have collected some tips on how to make your home brighter without breaking the bank. Add white. This may sound counterintuitive, as there’s going to be plenty white stuff outside. Have you noticed in Scandinavian design that the rooms are mainly white (and, yes, they do get their fair share of snow? There’s a good reason for that. The hours of sunlight in Scandinavian countries differ a ton, especially during the winter. Sunlight is definitely minuscule and nights are long. So, it only makes sense to take their lead and add some white into a house during the longer nights of winter for us too. This will for sure help brighten your space and take the gloom out of the dreary winter months. Bring in white by painting walls and ceilings. Other less permanent options can be through your bedding, furniture accent pieces, pillows, rugs, throw and accessories. Move furniture from windows. In many homes furniture is up against windows blocking the natural light from coming in. Obviously, in some cases there’s no way to get around this, but re-look at your layout and see what can be moved where. You may be surprised what a new furniture arrangement will do! Get custom lampshades. Simple modifications such as switching your thick, dark lampshade, for a thin, brighter one, can make all the difference. Choose a lampshade that lets plenty of light shine through – you’ll be surprised at what a difference this can make! Swap your light bulbs. Time to pay closer attention to the coloring of your home’s light bulbs. The difference between a warm white, a cool white, and daylight bulb can greatly change the feel of a room. You might find that some bulbs work better in some rooms than others; selecting a few and comparing live in your fixtures is the best way to see how it will really look… those in-store displays situated beneath the fluorescents don’t always do the bulbs justice. Also, this is as good of a time as any to upgrade to LED bulbs for efficiency. You may want to check out the Cree Bulb. Let the hardwoods shine. 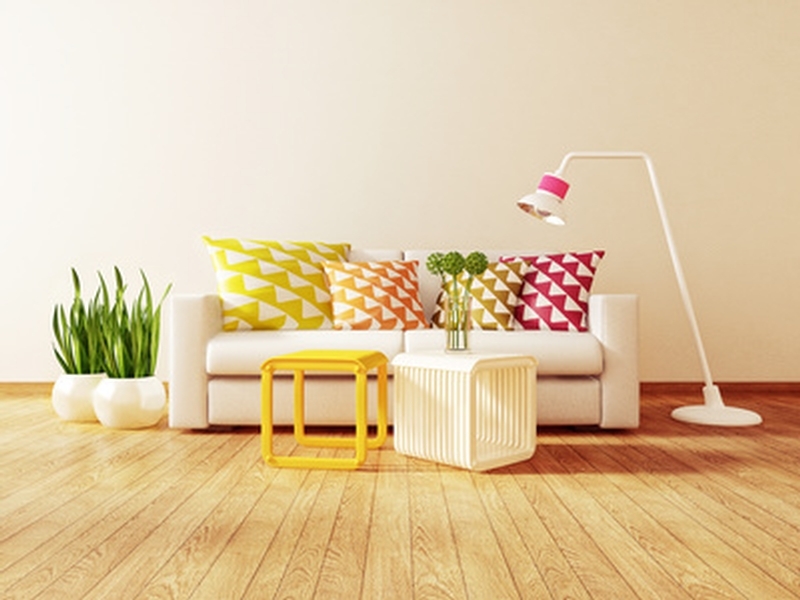 If you have hardwood floors, consider removing area rugs in rooms where natural light is at a minimum. The light that does stream in will reflect off your shiny hardwoods and onto your walls. Winter decoration. Maybe fighting the winter isn’t what you should be doing. Embrace it by decorating your home for winter holidays… with some extra light in mind. There are lots of inexpensive winter décor ideas that only involve a little creativity. Something as simple as pine cones in a bowl, or elegantly placed twigs in a vase, can be a great touch. Try buying candles in plain candleholders and decorate the outside with ribbon and fabrics. The flickering flames will do wonders for generating feelings of warmth and comfort.